This morning I had one. Yes — a eureka moment. When was your last eureka moment? I mean, an idea that pops into your head about your story line: a twist or turn that just seems right for your story. Don’t lose it; write it down. 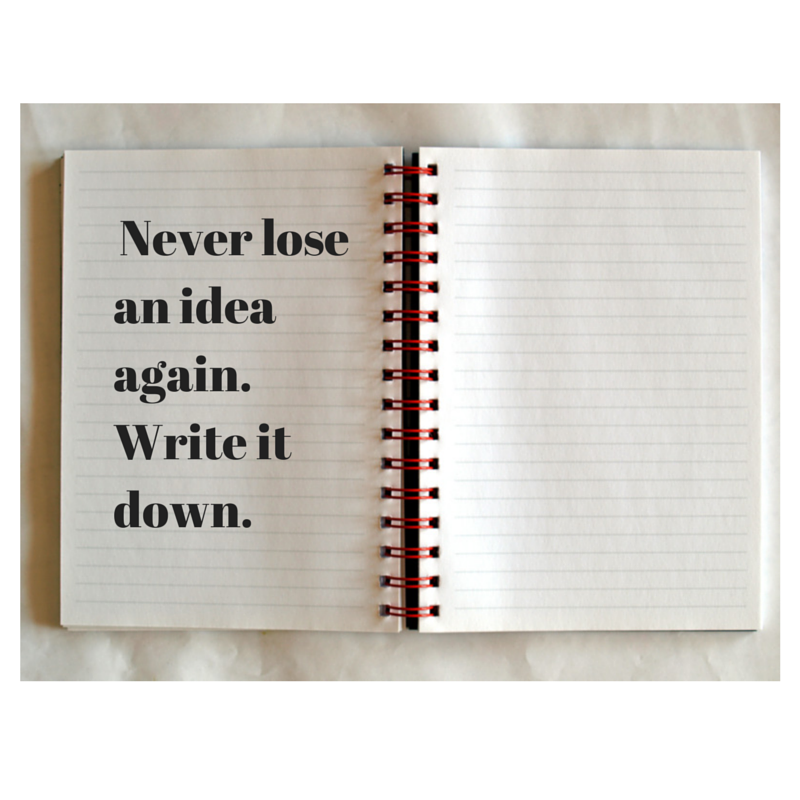 Keep a notebook with you at all times, and make sure you never lose an idea again. However much we plan and develop our stories they don’t appear fully developed in our mind’s eye at the start of a project. Or at least not for me. You might have a good understanding of the main story beats; the sources of conflict and tension in your story; the character arc; and the ending. You might even have planned out all the major scenes. But following a predictable plot line won’t necessarily excite your reader. There has to be some sparks, some excitement and unpredictability for your reader. Everyone knows how most stories will end: the good guy will defeat the evil monster; the guy will win the girl’s heart; the hero will learn his lesson and change for the better. So why does the reader want to read on? Partly, it’s because the reader wants to experience the hero/heroine’s emotional journey: to feel his/her pain and depths of despair, and then the joy of winning through. But if that journey is too predictable then it becomes a bore. A twist is simply something the reader does not expect. It can be something major that sets the plot on a new course, or it might be something less dramatic that your reader will enjoy. In either case it should give the reader the desire to read on. During the last three years, I have read a large range of books about writing and learned a lot about the technical aspects or story telling. And I’m still learning. But one of the simplest pieces of advice that I found from other writers was to keep a notebook with me. I keep a small notebook and pen with me, and anything that’s important gets put down. It’s unstructured and has all manner of things in it including some mattes not related to writing. But the important bits of information get transferred into project notes on my computer, where I use Onenote and Scrivener to organise my notes. If you are a newbie to writing, there’s a lot to learn about your craft. But one of the simplest pieces of advice I can give you is to keep a notebook and pen with you.